The special feature of the new SwitchPod tripod is the ability to transform it from a small tripod to a handheld tripod in a flash. Its carrying capacity is large enough to work with any camera (including DSLRs with lens). It is ideal for e.g. 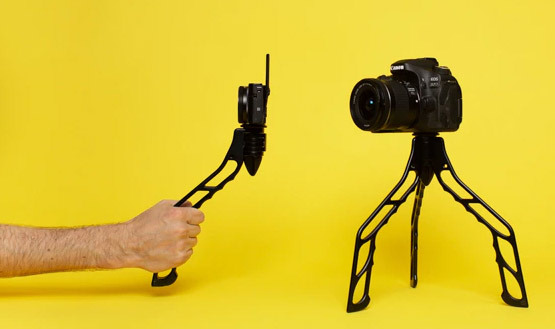 Vloggers who need a tripod for handheld selfie shots as well as a small tripod for static shots. 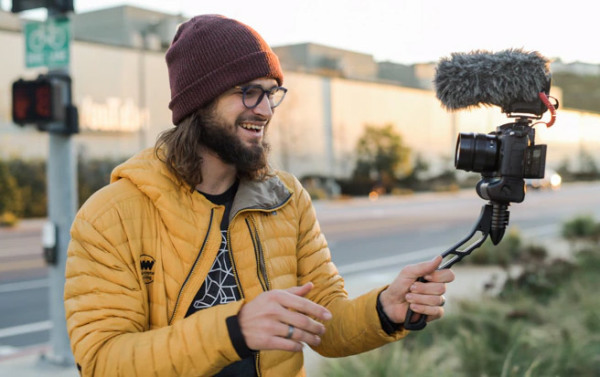 So far, Jobys GorillaPod has fulfilled this dual task for many filmmakers - however, depending on the payload, it cannot always be kept quite stable. 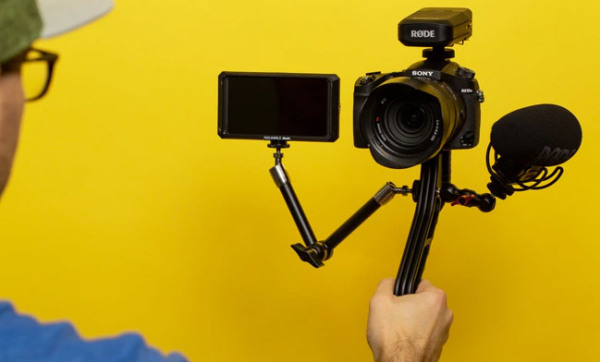 SwitchPod wants to outdo the GorillaPod with a higher stability and a simpler setup (it can be unfolded from handheld mode to tripod in seconds with one hand). In addition, the SwitchPod, made of an aluminum alloy, has an enormous payload of up to 45 kg - but weighs only 315 grams itself. Its handle is made in such a way that it can be held comfortably along its entire length. Accessories such as a microphone, monitor or LED light can be attached via two lateral 1/4-20" holes. SwitchPod has a 1/4-20" standard screw for direct mounting of a camera and a bracket for ball heads and quick-release plates. The Kickstarter campaign is already well over the target with almost a quarter of a million dollars and is still running for 50 days - so the project will be successfully financed. A SwitchPod (all black) costs 79 dollars, two 149 dollars and five 349 dollars.